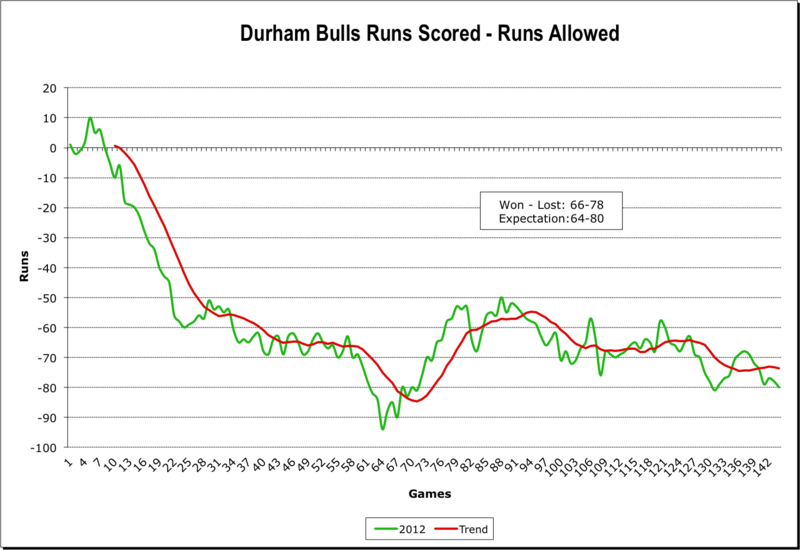 The Bulls never quite recovered from that awful early start, although they held their own through the mid-season. Charlotte's striking run to the top has now been followed by first round playoff victories. We might see them at the DBAP later this month. 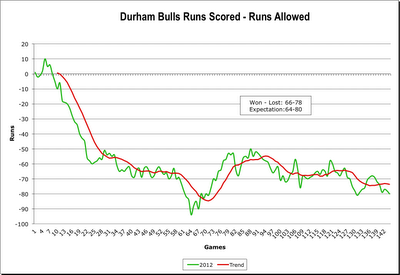 The Bulls win-loss was matched by the runs scored - runs allowed curve (trendline is a 10-game moving average). 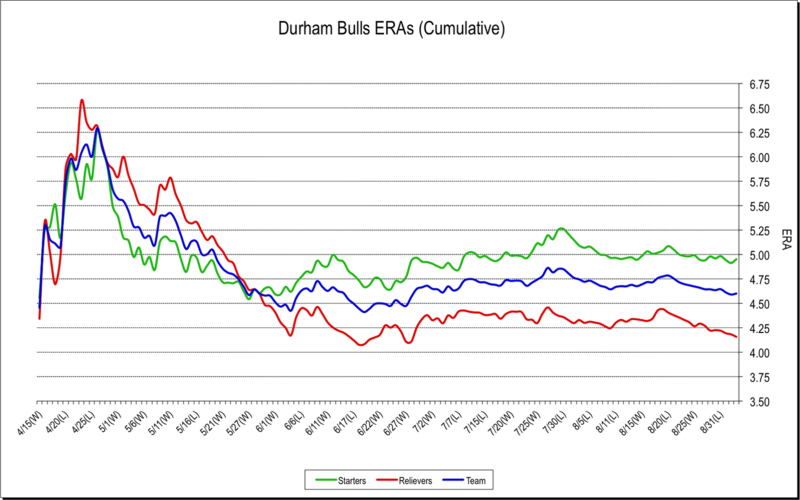 The slight difference between expectation and actual would appear to be the bullpen which was, mostly, the bright spot of the 2012 team. Why was this year so tough? 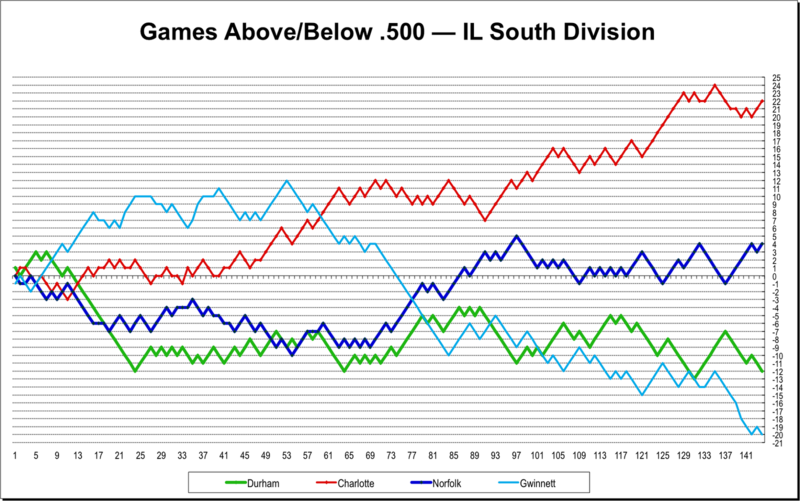 Check out the green line as it started out awful and never approached decent. 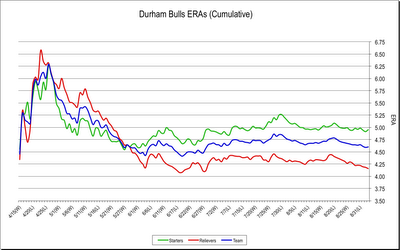 For a bit more heartbreak, compare the ERA chart to the one from the end of 2011.